Now that I am learning the Creole language better and better, I am starting to understand the Haitian proverbs people use in everyday conversation. I have used some American ones I have translated into Creole, but they are always well understood. For example-Actions speak louder than words, or One man's trash is another man's treasure. There are several Haitian proverbs I really like. We can think we understand. We can try really, really hard to imagine. But we don't know the pain. Sometimes we are so quick to judge others. Even if we don't do it out loud, we do it in our heads. But walking a mile in someone else's shoes doesn't really cut it b/c at the end of that mile we put our own shoes back on and are thankful for them. 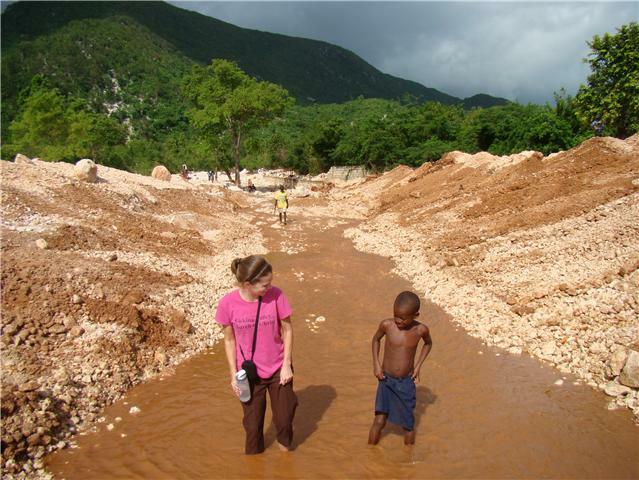 Countless time I have heard short term missionaries who come to Haiti for a week or 2 say things like, "I had no idea how lucky I am." or, "Now I am going to be thankful for everything God has given me-a house, car, food." But do we ever think that we were given the opportunities we have been given in life to help others? The first time I came to Haiti in 2008 I met a lady who was my age (28) with 5 children whose husband had died a couple months earlier. Through an interpreter I listened to her story as I stood in front of a banana leaf shack looking into the eyes of someone who was my exact same age-yet we were so different. Her and her 5 children were literally starving to death. I think aggravated is the best work to describe the way I felt towards God. Yes I asked him why. Why did I have all the opportunities I had had in my life while she had NONE. Why didn't God "even the stakes" just a little bit? She was baking in the sun while I, in my cozy life, was lounging in the water. I have never seen her again. It's amazing how big of an impact 3 minutes with a stranger can have on your life. Without this 3 minutes I never would have returned to Haiti. This was my first experience with "a rock in the sun." But as much I want to think I understand that rock, I never will. Click here to read more Haitian proverbs.